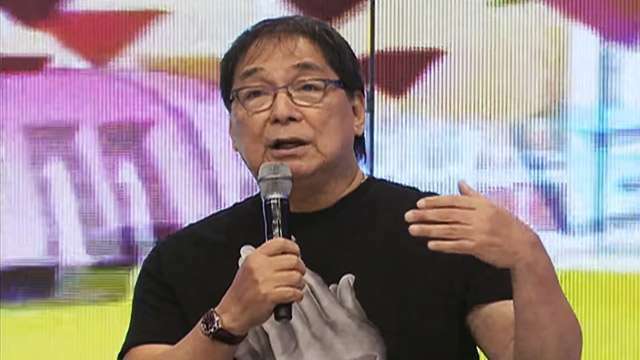 Comedian Joey de Leon has owned up to his recent statement about depression. 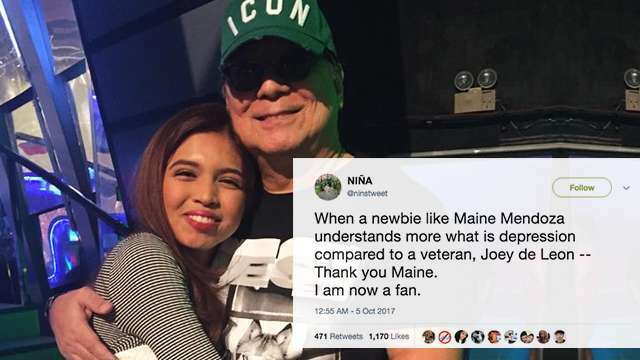 On Thursday, the Eat Bulaga host downplayed the medical condition as "gawa-gawa lang" during a segment. This elicited mostly negative reactions from the public, including celebs and even his colleagues from the noontime show. Today, an apologetic De Leon addressed the issue, calling his comments a mistake. "Nagkamali po ako," he said in today's Juan for All, All for Juan. "Dala ng gulo at tuksuhan natin, naging mababaw lang at magaan ang pagtanggap ko sa salitang 'yan." Joey added he thought stress and depression are almost the same thing. "Hindi ko alam na ganun kalawak at kalalim pa yun. Akala ko, yung stress 'yan, ganun-ganun...Huwag niyong asahan na alam ko ang lahat ng bagay sa mundo. Habang nabubuhay po tayo eh natututo tayo ng mga bagong mga bagay-bagay. Nagkamali po ako." He hopes his mistake will open the door to more discussion and raise awareness on the ilness. The country has taken steps to inform the public about depression and related disorders. Last May, the Senate passed the Mental Health Act of 2017, for the "enhancing of integrated mental health services, promoting and protecting persons utilizing psychiatric, neurologic and psychosocial health services..."
The Department of Health has also joined forces with the National Center for Mental Health and the Natasha Goulbourn Foundation to establish the "Hopeline Project"—a 24/7 hotline that aims to help "any individual who suffers from crisis and depression." It can be reached at (02) 804-HOPE (4673), 0917 558 HOPE (4673) and 2919 (toll-free number for all Globe and TM subscribers). There is also the pro-mental health Facebook-based support group Anxiety and Depression Support Philippines. Contact them through phone (09178414944) or email (adspfb@gmail.com).